Ever wondered whether a samosa can be created with a unique Chinese spin? 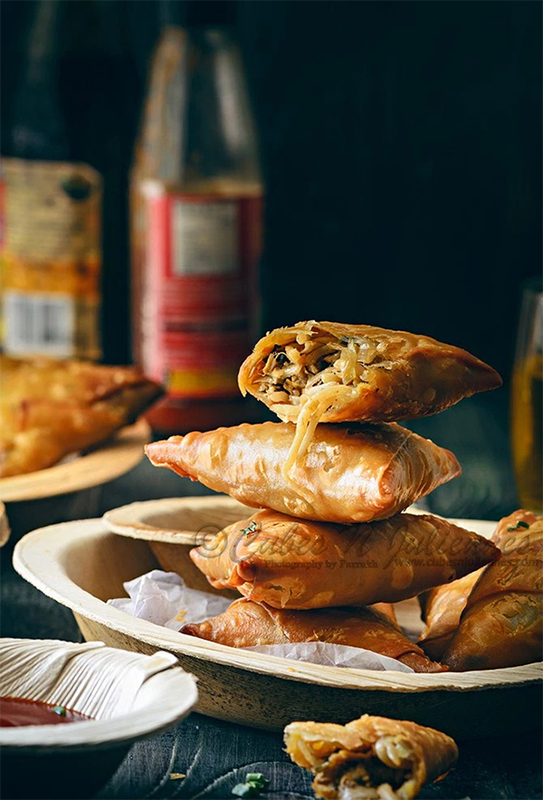 Well, then look out for this recipe for crisp Chinese Chicken Noodle Samosas. They are a gorgeous and delicious treat. This recipe is brought to us by talented food blogger Farrukh Aziz Ansari of Cubes N Juliennes blog. Farrukh resides in Bangalore, India where she enjoys preparing inventive meals for her husband and two children. Farrukh especially loves surprising her family with unique variations on traditional recipes. 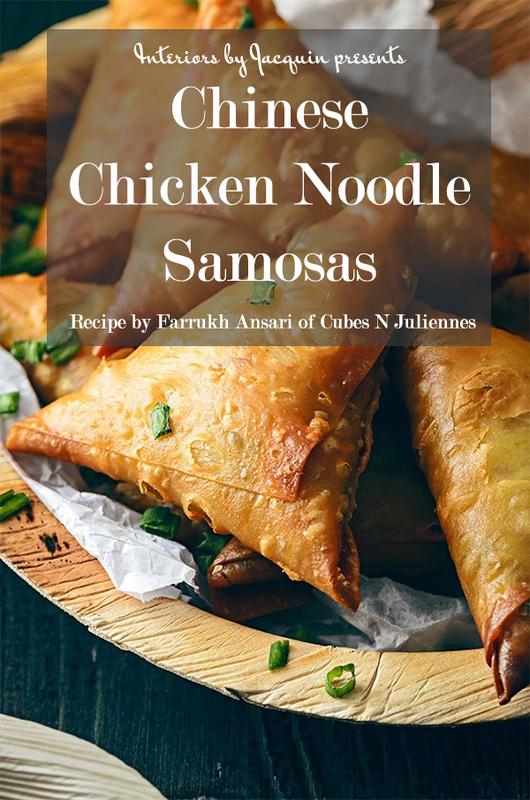 Today’s recipe for Chinese Chicken Noodle Samosas happens to be Farrukh’s son’s favorite snack! 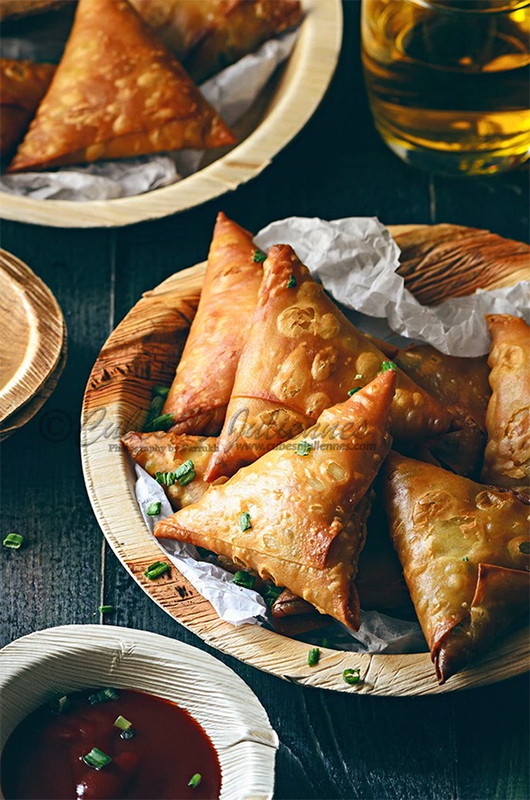 Whenever it comes time to make this tasty treat, she prepares them in bulk and freezes the samosas for a quick snack for weeks to come. Then whenever the crispy snack is in demand, she just fries the samosas right out of the freezer, which inevitably leads to an extremely happy son and family. Here’s how to prepare your own Chinese Chicken Noodle Samosas at home. Step 1 – Boil the noodles as per packet instructions. Set aside. Step 2 – In a wok or round bottom pan, heat sesame oil. Add garlic and ginger, fry until light brown and aromatic. Do not burn it. Step 3 – Add sliced spring onion bulbs and fry for 2 minutes on high heat. Step 5 – Add all-in-one sauce, red chili sauce, dark soy and toss well. Then add capsicum and toss well for couple of minutes. Step 6 – Add shredded chicken, boiled noodles, salt and pepper, toss well such that everything is mixed well. Remove from heat. Allow the mixture to cool completely. Step 7 – Add chopped spring onion greens to the chicken noodles mixture and mix well. Sit aside. Step 8 – Make a paste of 3 tablespoons flour mixed with a little water to create a paste. Step 9 – Make a cone shape out of the samosa wrap, fill with the prepared mixture and wrap the sides to form a triangle. Seal the edges using a flour paste. Do not overfill the cone with the mixture as it may cause the samosa to tear or overflow. them all and store them in a ziplock bag and freeze for up to 2 months. Step 11 – Heat oil in deep frying pan, or a kadhai. 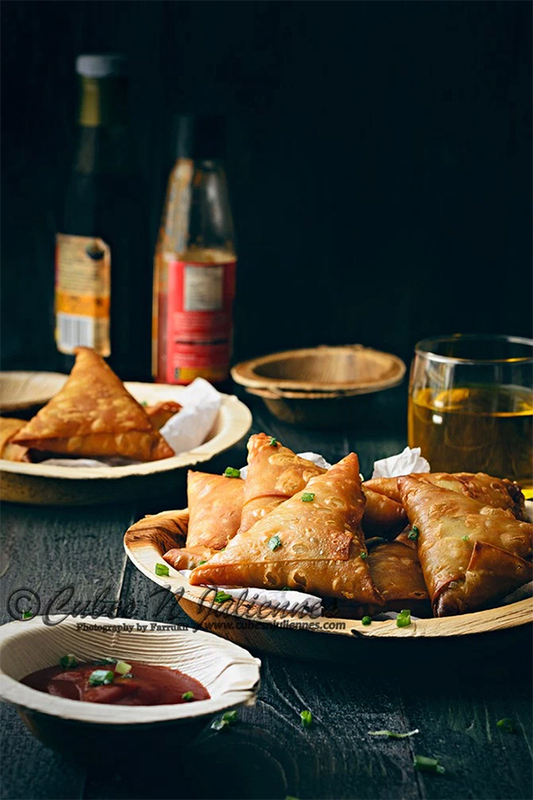 Once oil gets hot, reduce the heat to medium-high and fry the samosas well, till crisp and golden brown. Do not fry on high heat to avoid burning of the samosas. Cubes N Juliennes is a clear evidence of my passion for cooking. The exotic food blog has turned my daily home made dishes into a gastronomic collection of recipes, depicting a variety of cuisines and cooking styles. I always ensure to give my best in whatever dish I make for my family. I feel so glad when I see my small beautiful family relishing the food stuffs made by me. What more could a mother and wife ask for than seeing her family adoring the food she prepares and earning accolades from them!! This is what makes me the gladdest mother and wife. 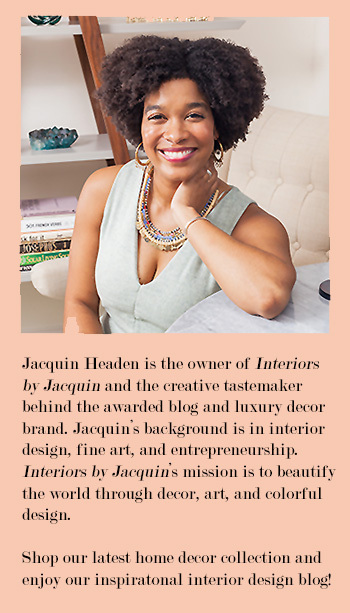 Stop by Cubes N Juliennes, a truly inspirational food blog, and say hello to Farrukh! Farrukh also has a beautiful Instagram page where she shares her latest gastronomic creations, so be sure to follow Cubes N Juliennes on Instagram, as well. Bon appetit!